These two styles are all about the way you arrange your things to create a space that is stimulating, comfortable, and aesthetically pleasing . whether you prefer to hide things from view or have them displayed openly, the goal in working with this aspect of your style is to create a supportive and productive environment where you know what you have and can easily access it. Someone who connects with the Everything Out Style Preference is clearly from the “out of sight, out of mind” school of organizing. They feel most comfortable when their things are visible and within reach. The challenge with leaving everything out is, with so much in your field of view you won’t be able to really see anything. Piles of stuff and stacks of papers will soon overwhelm you. One of my clients felt the only way to manage her mail was to keep it all out on her desk. This led to mounds of envelopes of varying age and state of openness on top of the desk. These would spontaneously lean and slide leaving layers of mixed papers spread across the desktop and often falling off the desk. Additionally her checkbook, calendar and phone were regularly thrown into the mix and often lost. The mail was not being processed timely and the desk was not functional. We created a 2 step process in which she could corral and have handy the papers she needed to address. First all incoming mail was placed into a clear bin near the desk. The bills went into a labeled folder in the bin. Next we set a scheduled time to pay bills. When the time came she grabbed the folder and processed those bills. This allowed her to see those items, work on them when it was the scheduled time and make some of the desk available for using the computer and reading. Her stress level was reduced because she knew where the bills were and her budget was back on track as late fees were eliminated. I am a strong Everything Out. When I am working on a project I will spread everything out on my desk or worktable or floor (depending on what the project is) so I can put my eyes and hands on what’s needed. When my work time is over, I take that chunk of material and put it away to clear the space. What do you think? Does out of sight mean out of mind or the total opposite? Nothing Out = No worries, right? The Nothing Out Style Preference is the opposite of the Everything Out Style. Nothing Outs are uncomfortable with “visual clutter” and feel claustrophobic when they don’t have room to move around in their space. The challenge with a Nothing Out approach is that they have a tendency to literally stuff things into drawers or closets and then forget what’s been put where. A client of mine had a professionally decorated home. It was a great open space for entertaining and she often had guests. She called me because she was “running out of room’ and couldn’t find anything thus needed to get organized. As we walked through the house I quickly saw that although there was plenty of storage in the house she was filling the closets and cabinets with all kinds of things. It helped when preparing for guests but there was absolutely no order to what was being stored so when the people left she was left with a mess. We sorted the contents of all the closets and she decided where things would go. One closet was for decorative/ entertaining items, one for memorabilia and family photos, one for office supplies. There was also a big spare drawer for mail and kitchen counter items. This way when she needed to tidy up for people coming over she could put things out of sight in predetermined places then find them again later. It was a good balance of her preference to have things out of sight and be organized enough for easy future access. As you can see from the examples above, knowing what systems and products work with your personal styles is so important because it allows you to make efficient and effective use of your time and space ultimately creating more satisfying experiences. Once you identify your dominant preferences – are you an Everything Out™, Nothing Out™, Minimalist™, Saver™, Straightener™, or No Rules™? – you can begin to take steps to integrate more Flow Steps into your everyday life. The Time & Space Style Inventory™ (TSSI™) evaluates your space style preferences and how you arrange your space, assign value and tolerate disorder. By learning your dominant and strong style preferences, you can make the most of the things in your space and increase flow in your life. Consistently taking the Flow Steps in your styles of dominance will help you successfully manage yourself, and your decisions about your space. Make it all work better for you – take the Time & Space Style Inventory™ today to identify your time and space styles and enjoy your life! It’s National Clean Out Your Files Month! Yes, we do just keep the organizing festivities coming 🙂 October is National Clean Out Your Files Month. It’s a second great time of year to spend some time organizing your files. The first time I recommend is in April around tax time. We are 6 months from April now and I think it helps to relieve some of the pressure to focus on the financial records in the spring and others now. To get started, follow these 3 tips for some filing fun this month. 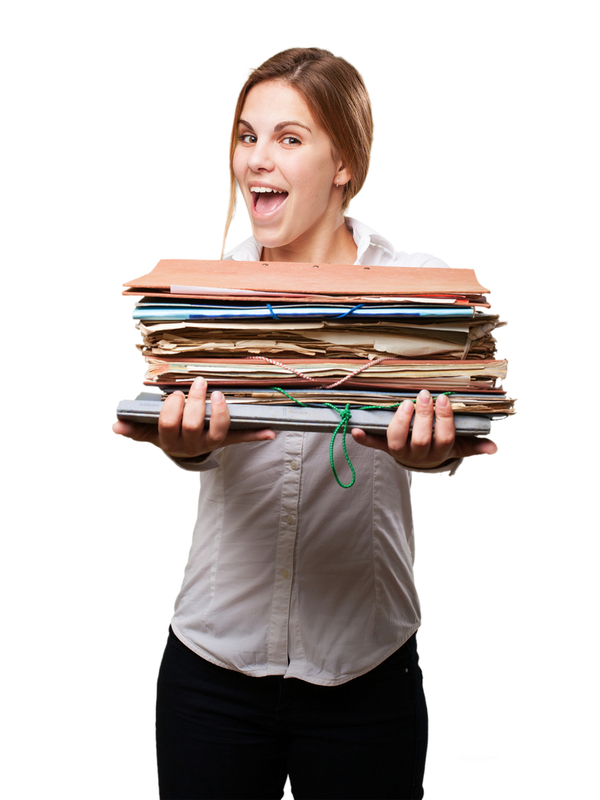 The Small Business Administration says that 80% of the paper we file we never refer to again. 80% ! OK now look at your files. That means if you have 5 drawers saved you will likely never even look at 4 of them again. Think about that as you go through your files. Also think about whether you can access the info again either in print or electronically. By taking the time to sort files into categories of similar subject area, you can then see the true volume and make easier decisions down the road both in purging and in storing. This applies to creative friends also. Whether it is writing, photos, paper crafts you may have some project files that have gathered some dust. Keep an eye out for old projects you don’t remember why you wanted to do or have been sitting for substantial time. Also gather up the pieces that may connect from other areas of the home/ studio and get them together as a project file. 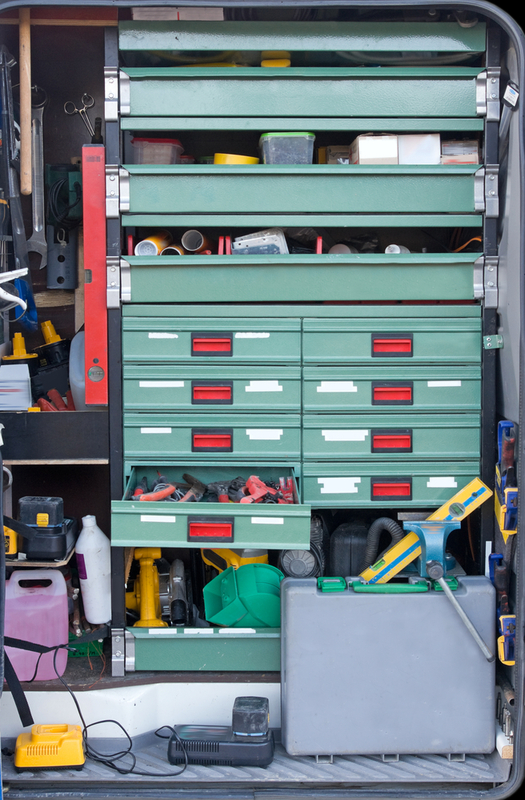 Don’t overfill the drawers, cabinets, boxes and folders used to store your files. When full the average 4 drawer file cabinet holds 15-20,000 pieces of paper (In my best Robin voice” Holy smokes Batman that’s a lot of paper cuts!”) There is nothing worse than trying to open a drawer that eats up your hand, barely moves or falls off the hinges because it is overstuffed. When files are tightly packed it’s harder to read the labels and handle the files. Additionally if all the drawers are full you won’t have room to store other critical files, you buy additional storage, fill it all up, buy additional storage and the accumulation of clutter begins. 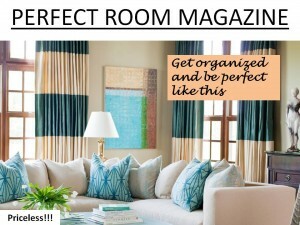 These were just a few quick tips to get you going to fabulous files. As long as we wish to record our life activities, we will need to take care of our files. Make some time this month to give your files the attention they need and you’ll be rewarded with easier access to your important pieces of information and maybe even a little more piece of mind. What’s Your Preference: Straightener or No Rules Style? Let’s face it, disorder happens. With the speed of life bringing so much information, activity and items into our lives it seems that the edge of our environment keeps expanding to include more stuff. When you are ready to clear the clutter, look no further than your everyday behaviors for clues on how to get organized. The Straightener and No Rules Style Preferences focus on the extent to which you are able to tolerate disorder in your space. You can pretty easily determine if your habits follow a Straightener or a No Rules style. Straighteners are compelled to align items within their space. No Rules are less in tune to the stuff and often don’t notice details in their space. Wondering which one better describes you? Take a look around your space. Are many of your belongings neatly stacked, piled or arranged so that edges are even, lines are congruent or evenly spaced. There may be a drawer or shelf of items that seem to fit just right and look really neat. Have you or a friend described you as being OCD or a neat freak? Really you may feel like the opposite is true, you can’t find enough places to put your neat stacks of stuff and it is driving you a little batty. You may be a Straightener. Quick Tip for working with your Straightener Style- Practice greater appreciation for function over form. While having items arranged in a way that’s pleasing to look at may seem nice, it is the actual organizing- giving meaning to grouping and locations of items- that will help you maintain order. Take another look at your space. Are there mixed arrangements or messy piles of stuff? Does it even feel right to have everything put up? Do you feel like you are often too busy focusing on other activities to even see what’s out of place in the room. Maybe you are just overwhelmed and unable to improve the space so you just leave it. Meanwhile your family describes you as a clutter bug or living in ‘organized chaos’. You may be a No Rules. Quick Tip for working with your No Rules Style- Work from simple systems and routines. When organizing feels too difficult, too time consuming or too much trouble take a step back remembering what your goal is then build easy-to-use systems that help you stay organized without feeling overwhelmed. The Straightener and No Rules Space Style Preferences are at either ends of the spectrum. If you’re not aware of why you have certain tendencies and habits, it can be difficult to create customized strategies to get you organized. When you understand where you fall on the spectrum you know which strategies, structures and behaviors will most likely yield success for you. The Time and Space Style Inventory (TSSI) assesses your space preferences and describes the typical ways you manage your surroundings. The results are based on how you arrange your space assign value to items and tolerate disorder. By learning your dominant and strong style preferences, you can make the best use of your time and choose to take actions that increase flow in your life. Consistently taking the Flow Steps in your dominant styles will help you successfully manage yourself and the items in your space. Ready to embrace your natural style? Take the TSSI today to understand how to make your space work better for you. Can you relate to either of these styles? Share where you are on the spectrum and what works for you! 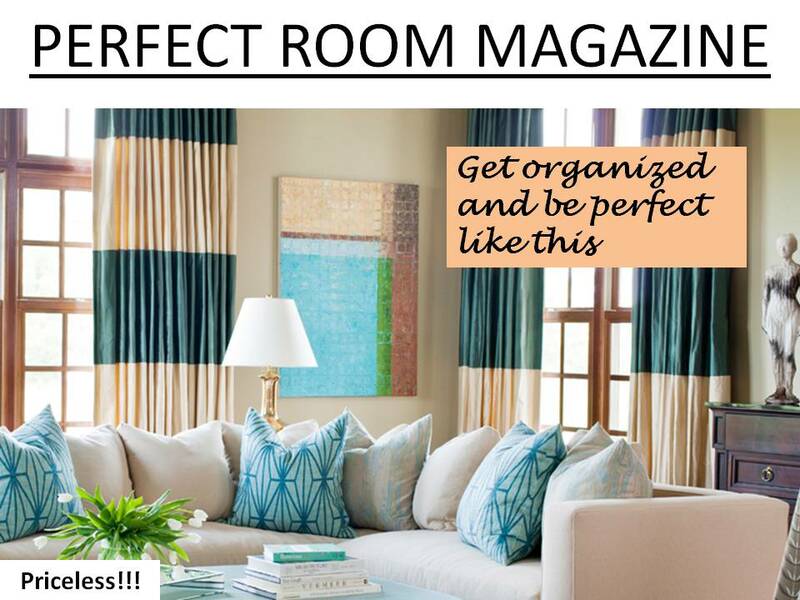 Ever feel like you are the only one not getting results from following Perfect Room Magazine’s ‘Top 10 Tips for Organizing Everything in 10 Minutes’ article. The truth is you are not the only one. Part of the reason for this disconnect is that while the article may contain sound advice, it may not be a good fit to your personal preferences. 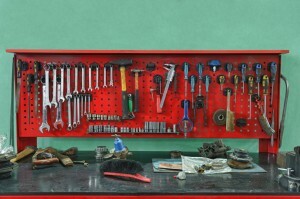 So how can YOU get organized and maintain it? Start by finding your style. Coach and Momprenuer Mentor Cena Block developed the TSSI- Time and Space Style Inventory to help you better understand your unique preferences for using time and managing our space. The TSSI takes into account how you normally interact with your environment and to-do list to help you assess your personal style. With this understanding you are set up to reach peak levels of productivity (we call it “FLOW”– a heightened state of focus resulting in efficient action and ultimately fulfilling results) in which you are able to do more and stay organized because you are aligning your strengths and preferences with specific techniques that work. Check out this video explaining the TSSI and how it can help you. 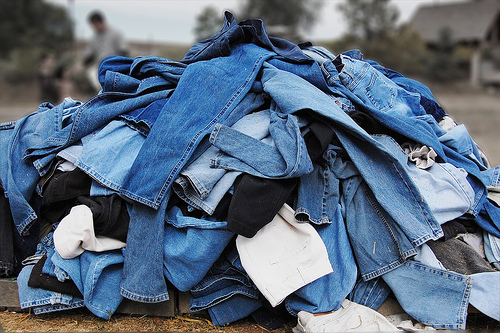 It takes about 15 minutes to complete the inventory and you are sent a report that gives your styles in a range from dominant, strong to moderate. You also get access to the TSSI Hub where you can find more details on each style including the steps you can take to make the most of your time and space and achieve flow. In taking the TSSI I discovered that I am a Hopper- Big Picture- Cliff Hanger. I see across all there is to do then I jump from thing to thing and continue working until the last moment at which I had to call a task done (there’s a bit of the Perfectionist showing up too). With the insights gained from the TSSI I was able to adjust a couple of my task management routines based on the suggested flow steps in my report. It has helped to relieve anxiety about the laundry list of projects that I want to get done. I also can maintain a higher state of focus because I know there is already rest and play time built into my workflow. What about you? What do you hope to learn in understanding your style better? When you’re ready to discover your style go here to access the TSSI. 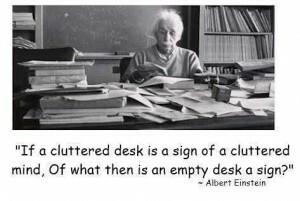 The 2nd Monday in January is National Clean Off Your Desk Day. That’s a good thing because the average office worker spends 2000 hours per year at the desk. Make that space easier to use with these simple decluttering tips. 1. Gather items that you use most frequently and store them within easy reach of your usual seated position. This can include key current work files. 2. Place items that you use less frequently outside this area so they don’t clutter your work area, but they should still be easily accessible. 3. 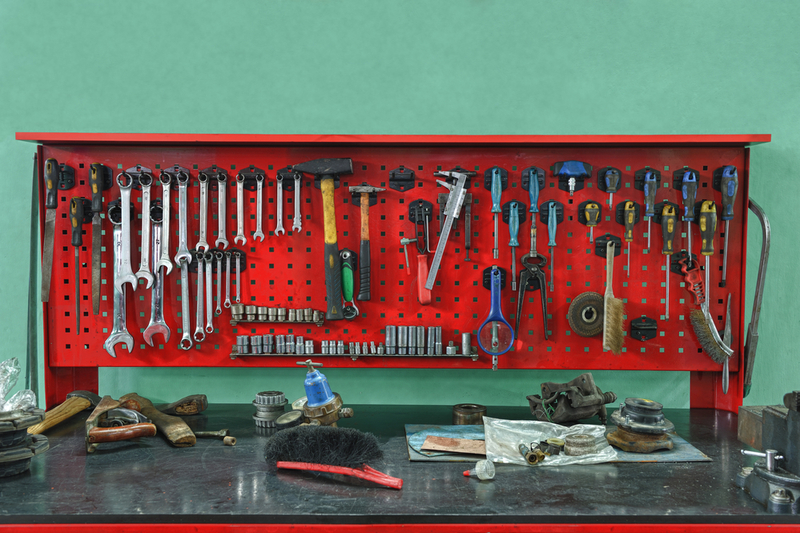 Consider getting rid of things you rarely use, storing them outside your office, or stashing them farther away from your desk to save your “prime real estate” for the most-used supplies. 4. File away past projects and those that won’t be worked until far off into the future. Remember to get rid of anything outdated or unneeded. Clutter breeds chaos . 5. Discover more space by looking up, down, and inside: Stash supplies in a plastic storage bin under your desk, install shelving above your desk for binders and literature boxes, and hide clutter in attractive boxes and bins. Your decluttered desk doesn’t have to be completely empty but you should be able to find the supplies and files you need quickly. Also you should have enough open flat space to spread out a small project and work on it. Spring has sprung and it a perfect time to refresh your closet for the upcoming season. When preparing for the perfect closet, your goal is to come up with a system that will allow you to maintain the de-cluttered space with minimal effort, while allowing you to make the most of your space, time, and wardrobe. Remember that your closet works in conjunction with other storage spaces as well. 1. Closets should have a clean, fresh coat of light-colored paint. This reflects the light and gives you a solid neutral background to view your clothing against. Take the time to do this now. Give the closet a good vacuuming and dusting, too. 2. Start sorting. Separate your closet into work and casual wear by item type, then group similar items by color. Button-down shirts, dress pants, blazers, dresses, skirts, etc. should all be batched together so you can quickly see and assess your options. 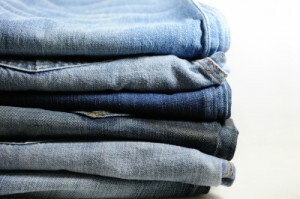 Make a separate pile for each category of casual clothing, such as pants, t-shirts, and sweatshirts. Also group together shoes, belts, and other accessories. 3. Only keep your “A” team or current clothes in your main closet. Shift seasonal clothes, maternity, and “other size” items to another storage space, such as under your bed. Many people can reduce the amount of clothing in their closet by half if they follow this guideline. 4. Purge a little more. Once you have everything sorted, you may discover that you own multiples of the same item. This is your chance to get rid of those items that don’t fit, are out of style, or are not practical. (From here on out, keep a give-away box in your closet to make donating easier.) Remember, it’s important to let your clothing have a little breathing room to keep it wrinkle-free, as well as to allow you to easily view your closet’s contents. 5. Now that you can see what you actually have, start measuring. Most clothing needs 1/2 to two inches of space per item. How much of your clothing can you realistically fit in the closet? If it only has one rod across the top, you may want to consider redesigning your closet for maximum space efficiency. Consider simple, inexpensive modifications such as adding a double hang closet rod to double your hanging space. You may also be able to adjust your shelves and rods to better accommodate your space needs. 6. Return clothing to the closet. Organize your clothes to work with your lifestyle. Section garments by type, then by color, so you can always easily see what you have. Hang pants, blazers, button-front shirts, dresses, and skirts. Avoid putting matching tops and bottoms together, since this may stop you from seeing other ways to combine them with other pieces. Arrange clothes so those you wear most often are nearest the front of the closet. 7. Find storage containers that are sturdy and sized appropriately. Use containers you already own or shop for new ones at stores like Target or The Container Store. Sweaters, t-shirts, and sweatshirts line up nicely on shelves with the help of vertical shelf dividers or when placed in clear plastic boxes or hanging canvas shelves. Accessories such as purses, scarves, and belts can be placed in clear boxes or attractive wicker baskets on open shelves. 8. Assign each item a “home.” Designate a shelf, section of rod, or drawer for each category of clothing. You’re likely to return items to this space after every use. Come up with a system that will allow you to maintain the de-cluttered space with minimal effort. Also, install adequate lighting that will allow you to view all of your clothing and shelf space. Follow these tips to make the most of your clothes closet this spring and summer. How was last year? Did you transition your kindergartner to a working homework space, make room for the new office you needed, get that email under control, or have enough time to really enjoy your family and friends? What about this year? You’ve listened to everyone else’s reasons and resolutions to make some changes. Have you thought about what is motivating you to improve your situation? Take another minute to think and write down your motivations. Then write down just one organizing goal. •	Finding time for the things you want to do. There is no time like right now to start getting organized. January is GO (Get Organized) month and many product and service companies, including A Taylored Space, will be showcasing what they offer to help you achieve your goal. Start with the one goal, complete it and celebrate it. Then define and work on another goal. You don’t have to do everything at once. And now you have a whole year ahead of you to work on making the changes that can create your happy new space, happy new schedule, happy new life! Wishing you all the best this new year: Happy Organizing!